1 Cook the potatoes until half done and peel them. 2 Beat the eggs; add heavy cream and salt. 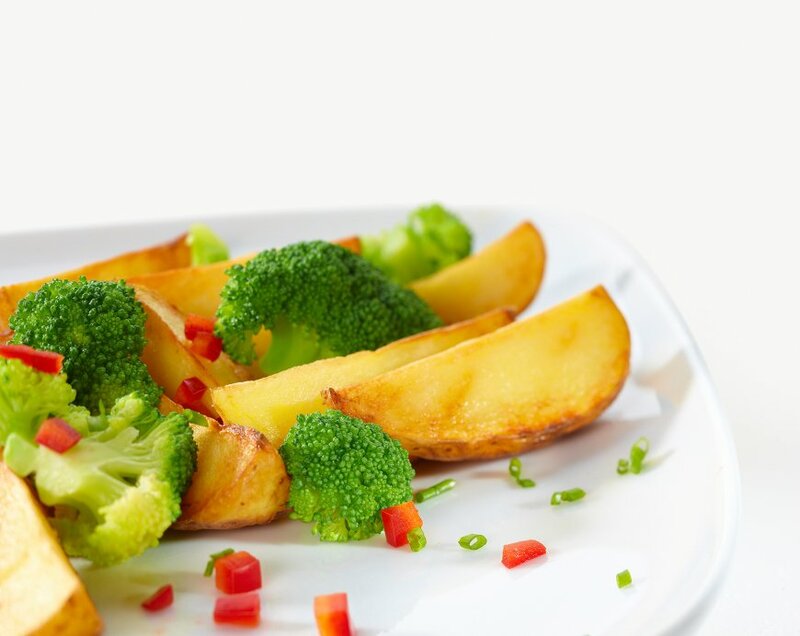 Gently mix together the potatoes and broccoli and place the mixture into a glass baking dish greased with butter. 3 Pour the mixture of eggs, heavy cream, and salt over potatoes and broccoli and sprinkle Parmesan cheese on top.